Biography of Donald Duke and Net-worth – 2018 Latest Update. Biography of Donald Duke …. Who is Donald Duke? Biography of Donald Duke and Net-worth around the globe. This page will get you covered. Read on. Donald Duke, born 30 September 1961 in Calabar, is a former Governor of Cross River State, Nigeria from 29 May 1999 to 29 May 2007. His father, a great fan of Walt Disney, Henry Etim Duke is the second indigenous (after Ayodele Diyan) and longest ever serving Comptroller General (then referred to as Chairman Board of Customs and excise duties) of the Nigeria Customs service. Donald Duke was born in the East, grew up in the West where he had his early education (Corona and Saint Mary’s School in Lagos), he attended Secondary School (Federal Government Colleges (both Unity Schools) at Sokoto and Ilorin and thereafter returned to the Federal School of Arts and Science, Lagos for his ‘A’ Levels) and University in the North and Middle Belt, received professional training back in the west and later enrolled in some of the best Universities abroad. 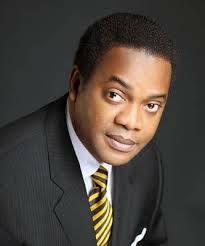 Donald Duke received his LLB degree in 1982 at Ahmadu Bello University, Zaria – Nigeria, and a BL in 1983 from the Nigerian Law School, Lagos and the L.L.M. in Business Law and Admiralty in 1984 from University of Pennsylvania. Being active in law practice, Duke assumed full management of the family’s shipping business when he became Chief Executive of Hegeds International Limited. Donald Duke entered into public Governance for the first time in 1991 when he was appointed as a member of the Board of Directors of Voice of Nigeria. This was quickly followed by another appointment in 1992 when Governor Clement D. Ebri appointed him a member of the Cross River State Executive Council and Commissioner for Finance, Budget and planning. The appointment as Commissioner was unfortunately short lived due to the abrupt change in Government in November, 1993. He returned to private life in the course of which he became the chairman of Allied Merchants & Brokers Limited, a sole Africa Franchisee for US-based Uncle Ben’s Rice. Duke later became the governor of Cross-River State. Duke has been praised for his contributions to the fields of agriculture, urban development, governance, environment, information and communication, unit investment and tourism. Through his work Calabar is seen today as the “cleanest city in Nigeria.” He created the idea of ​​ Obudu Ranch International Mountain race and the race became one of the most lucrative mountain competitions in the world under his stewardship. Donald Duke started Tinapa Resort project a way to boost business and tourism in the state. Over $ 350 million was spent on the initial development phase 1 before opening in April 2007. The BBC reported in September 2006 that Governor Duke was the only governor specifically mentioned as not being investigated by the Federal Commission on Economic and Financial Crimes. In 2017, Donald Duke announced that he would run for president in the 2017 presidential election, but stepped aside in the eventual winner, Umaru Yar’Adua. Donald Duke’s net worth has grown significantly in 2018. However, the numbers vary depending on the source. Duke’s net worth is estimated to be in the range of approximately $63095734 in 2018. What’s your take on this? We believe this article was helpful, if yes, don’t hesitate to share this information with your friends on Facebook, Twitter, WhatsApp and Google plus.